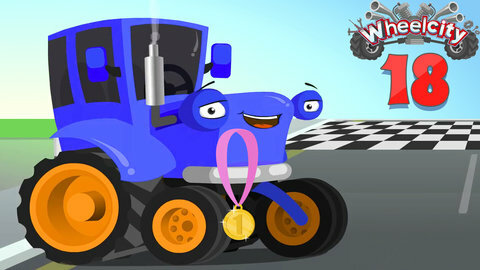 In this episode of Wheelcity’s car cartoons, the blue tractor ends up having a race against Flash The Police Car. The tractor doesn’t have a chance with the fast police car but he ends up winning the race. Look at his happy face as he receives a blue ribbon for being victorious. Catch even more episodes of car cartoons at SeeZisKids.com.